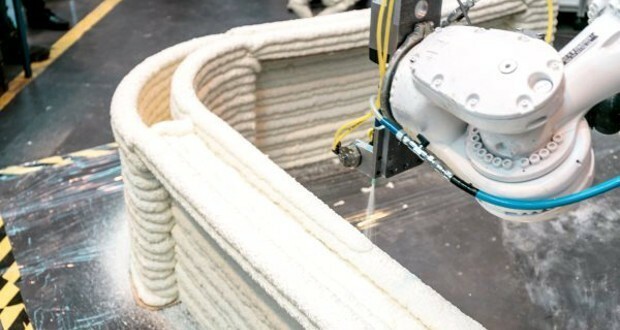 During Digital Week in Nantes which began on 14 September, construction of the first 3D-printed habitable dwelling began in the district of La Bottière: the Yhnova project announced last April is already showing promising results thanks to the 4-metre robotic arm capable of continuous production. 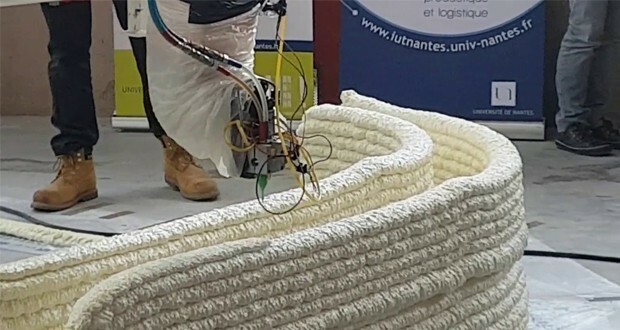 The University of Nantes has developed a printing process for the construction industry named BatiPrint3D. 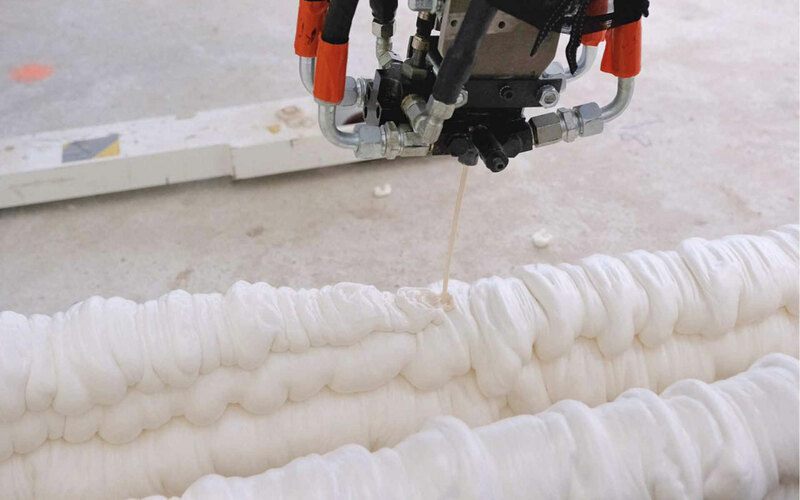 The robotic arm moves in line with an accurate 3D model and extrudes expanding foam, layer by layer. It prints directly on site in just a few days, reducing not only the costs and time required for construction but also the disturbances caused by traditional methods. Supported by large groups such as Bouygues Construction and Lafarge Holcim who have invested €195,000, the university presented its construction project for a social housing dwelling at Nantes Métropole Habitat. The 95m² structure will have 5 rooms and be habitable within a year. 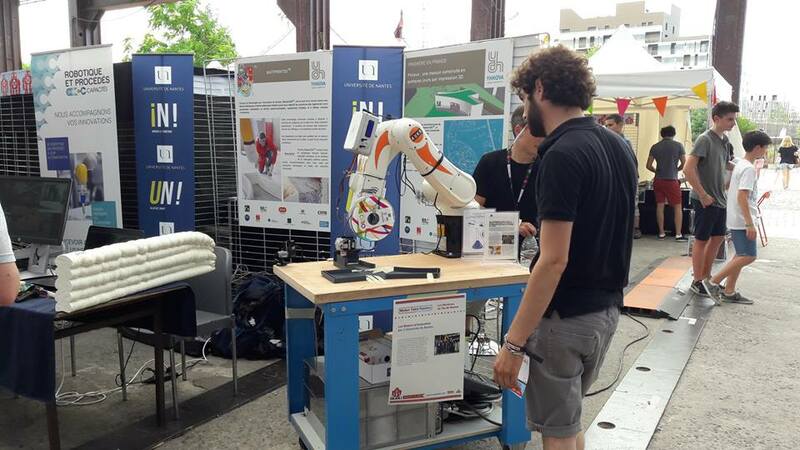 The University of Nantes had presented an initial model of the dwelling at the Maker Faire in Nantes in early July. 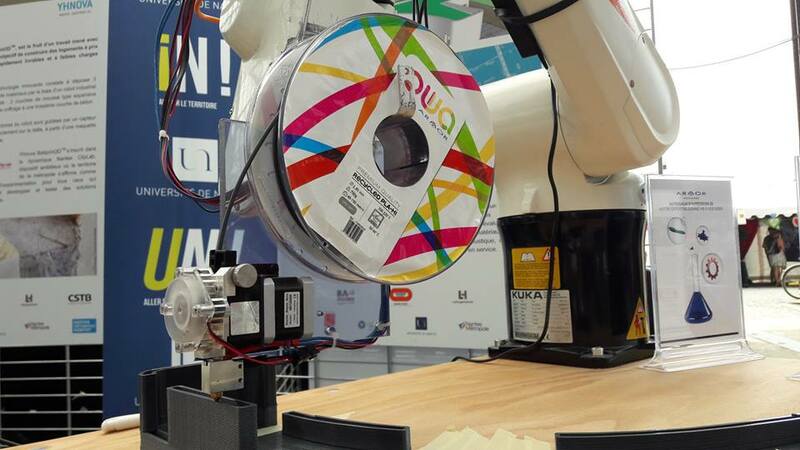 The model was then 3D printed on site by a smaller robotic arm using the OWA filament, PLA-HI grey. A project which has been closely followed by Armor 3D! The walls of the house should soon be ready.« In all we work on the walls for 2 days… It’s a very short time compared to traditional techniques, which require 1 to 2 weeks.» eexplains Luc Stéphan, Innovation & Development Director at Nantes Métropole Habitat. The coming months will be devoted to the doors, windows and roof. A family should be able to move into this social housing dwelling within one year. Would you like to make models for your future project? Please don’t hesitate to contact us at contact@kimya.fr. We can help you find a printing material compatible with your technical requirements.